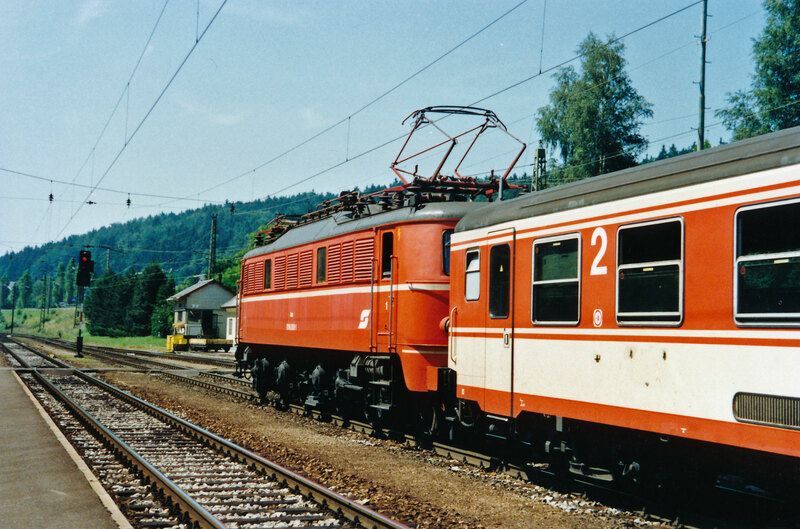 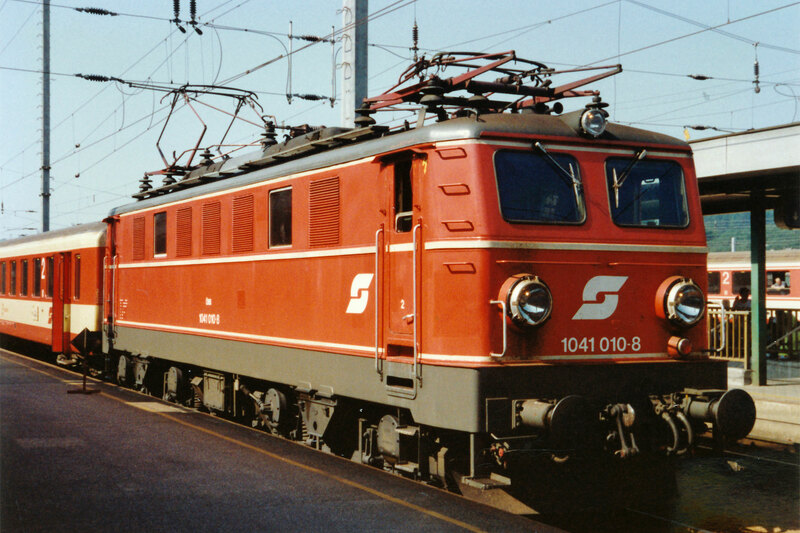 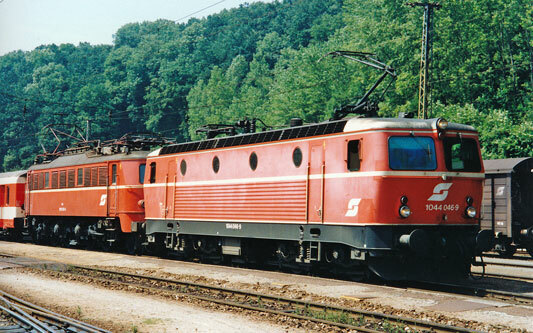 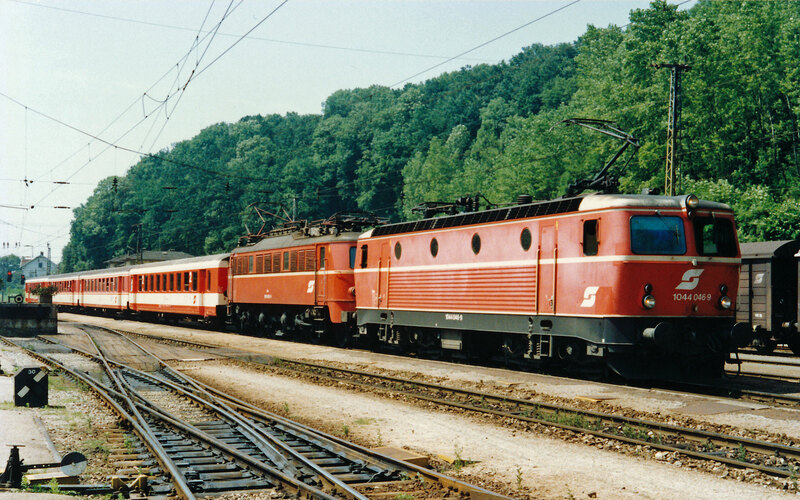 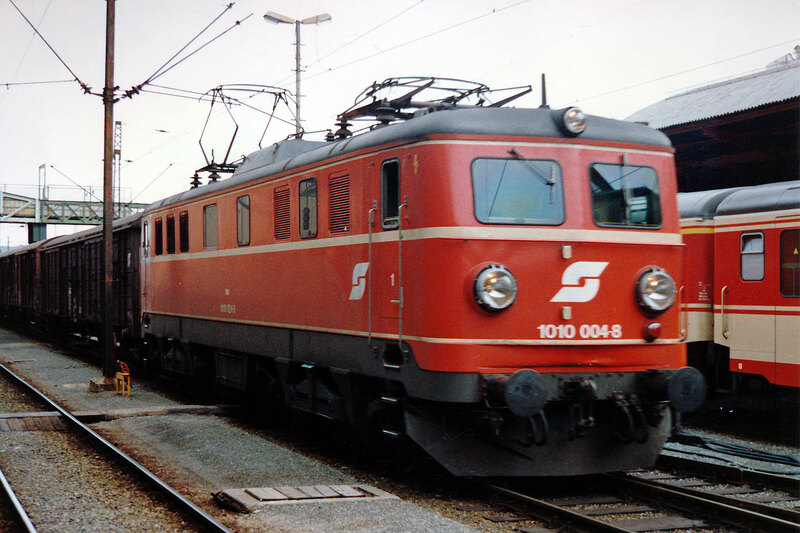 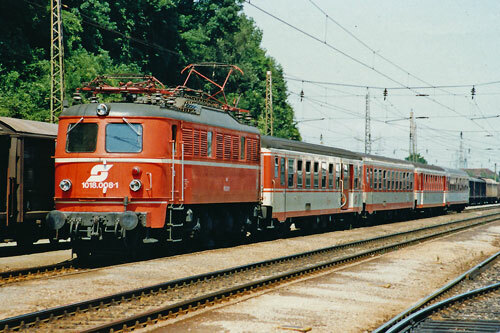 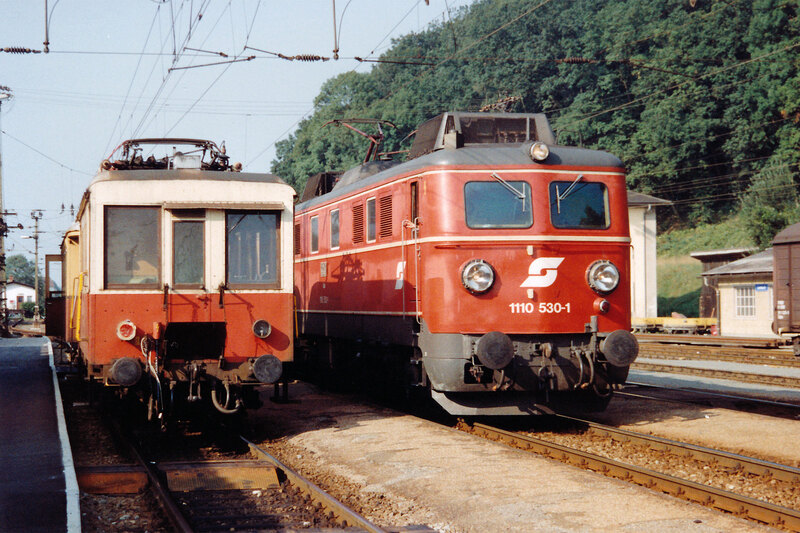 This page shows images of ÖBB standard gauge locomotives and trains, taken in 1974, 1989 and 1991. 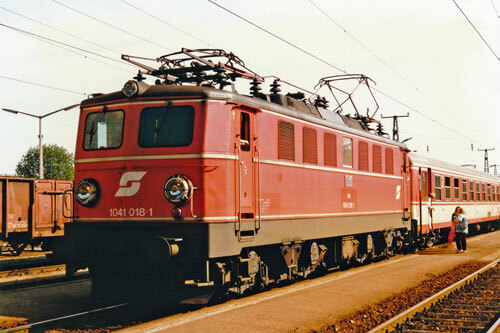 ÖBB Class 1018 was based on the Deutsche Reichsbahn (DR) class E 18. 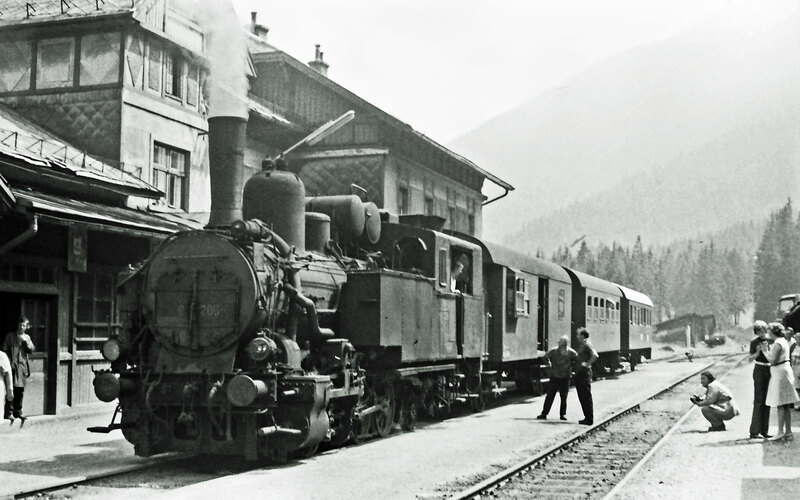 Two E 18 prototypes were taken into service in 1935 for testing by DR. No major changes were necessary and serial production began shortly afterwards. 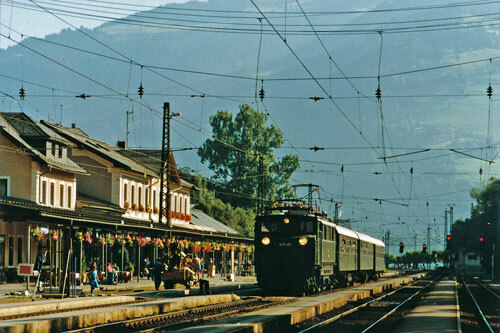 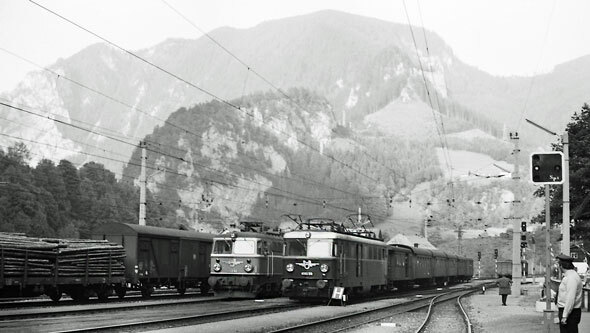 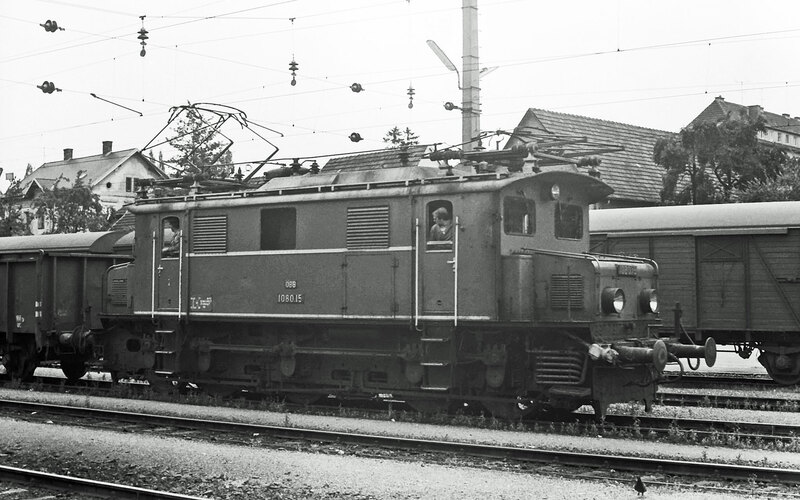 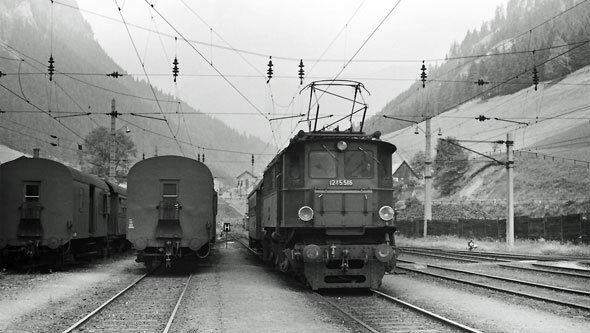 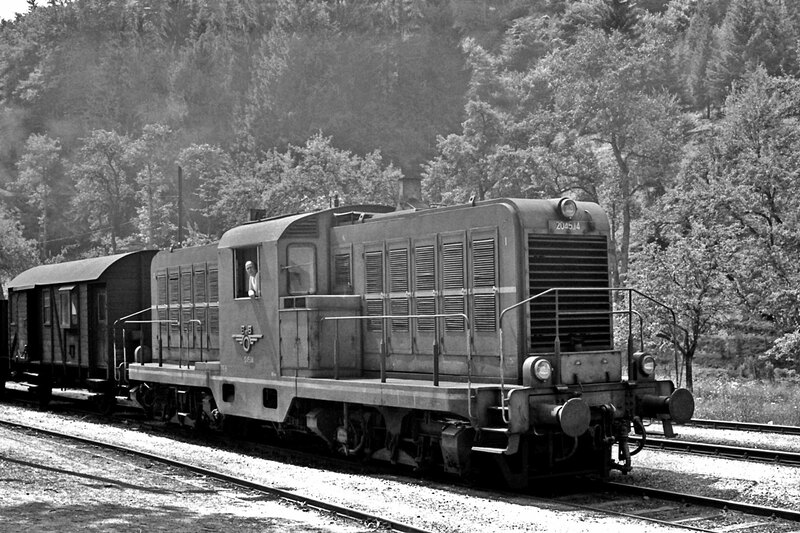 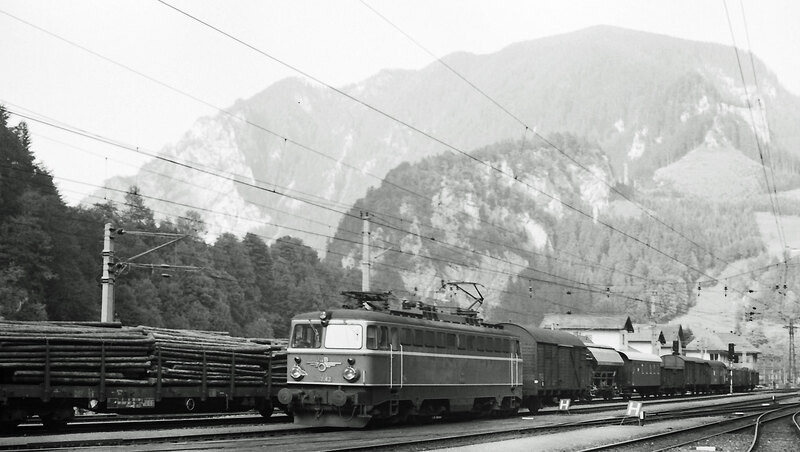 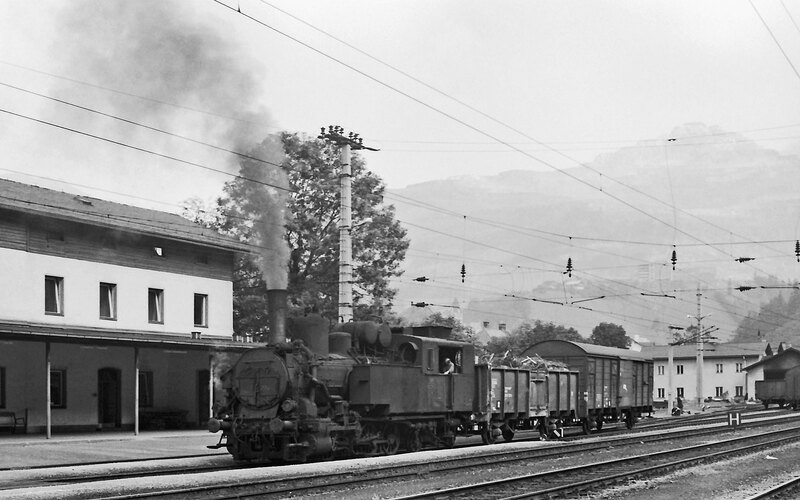 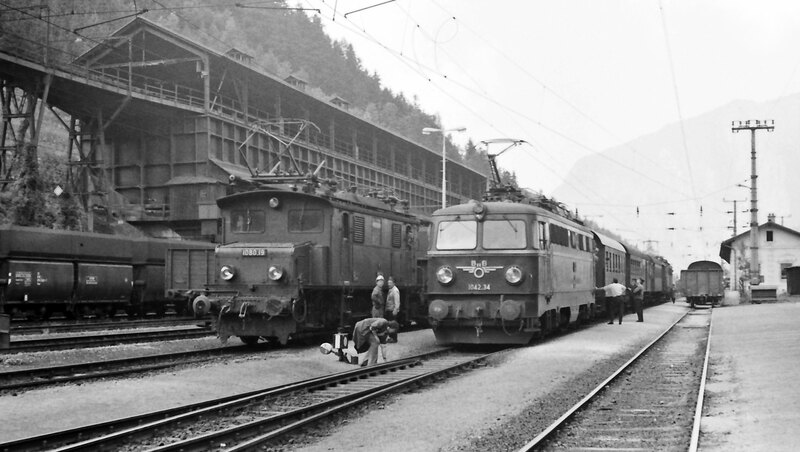 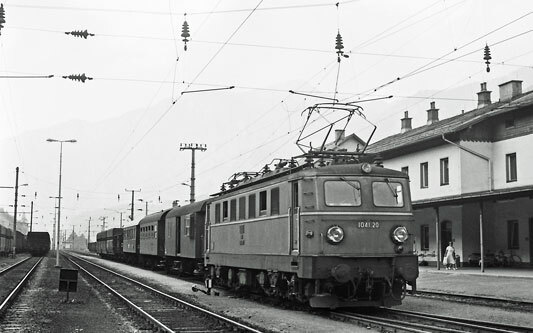 Austria's ÖBB ordered Class E 18 units in 1937 (later becoming ÖBB class 1018). 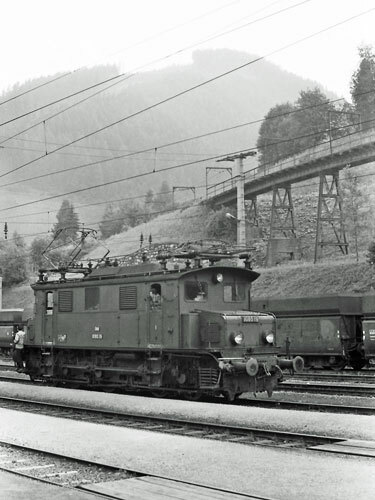 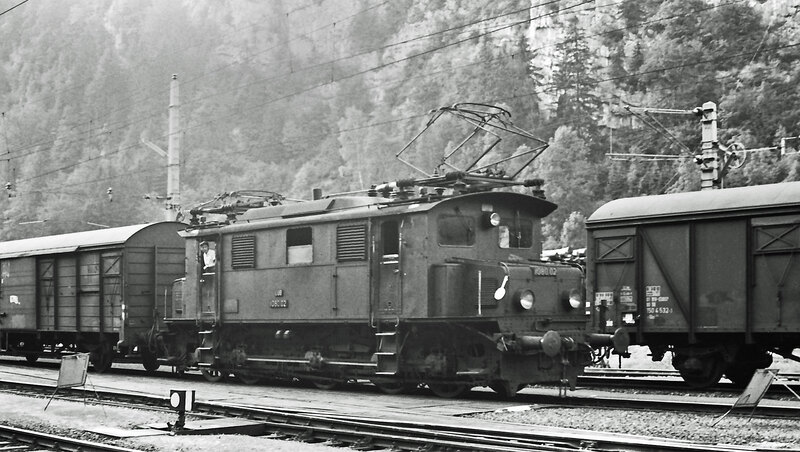 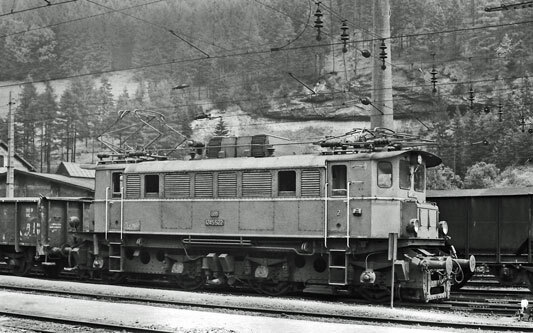 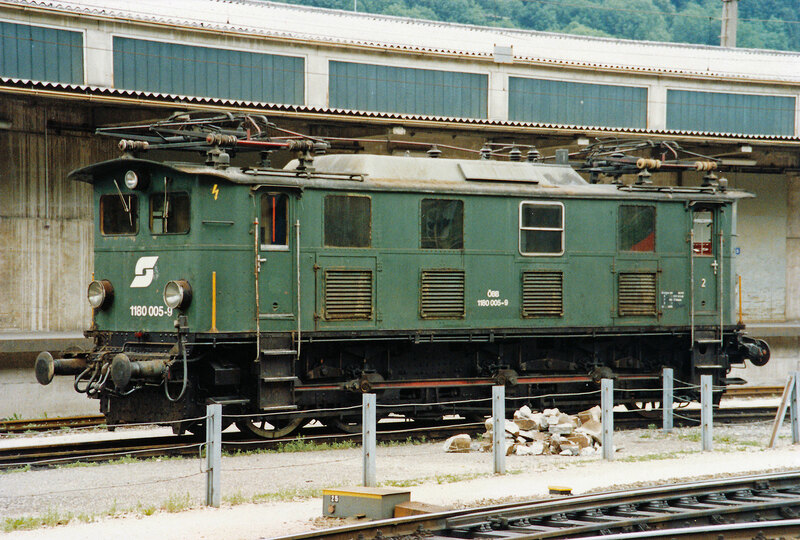 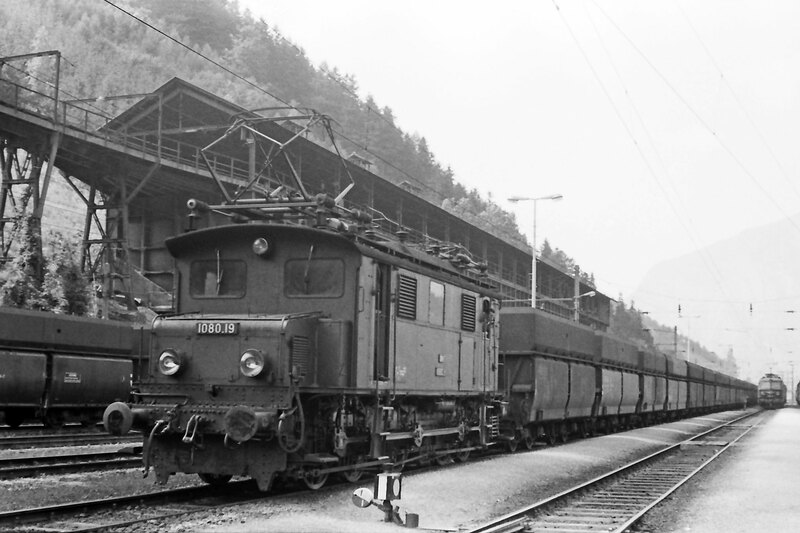 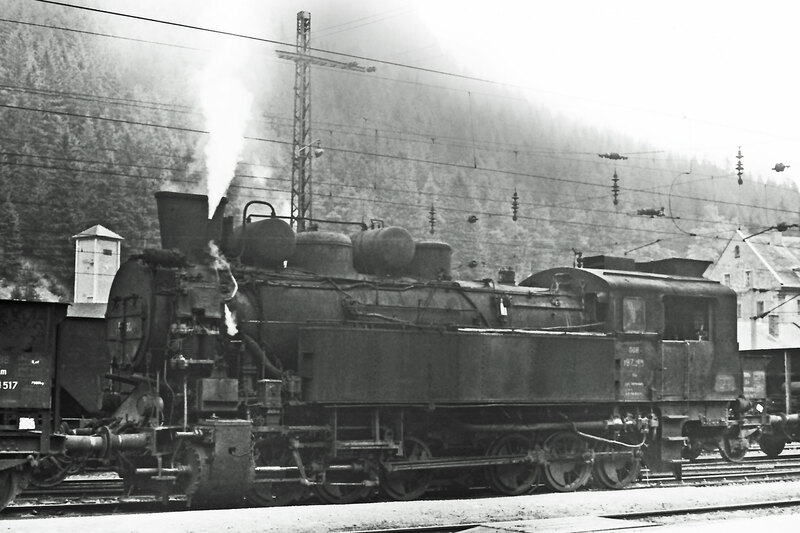 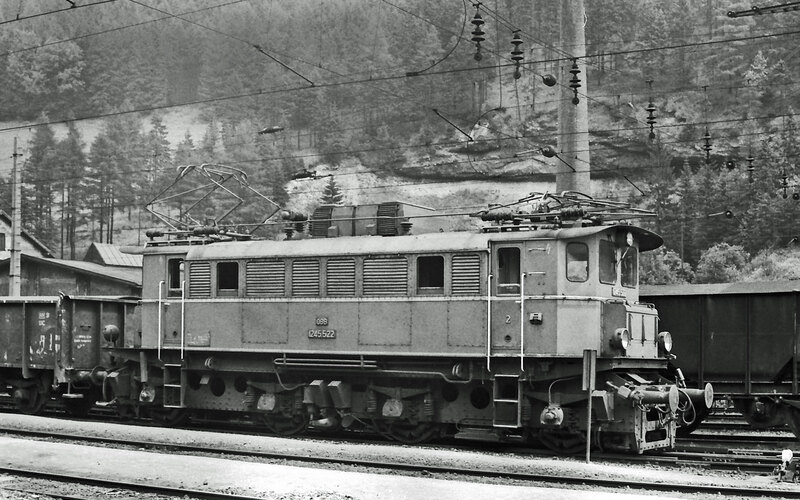 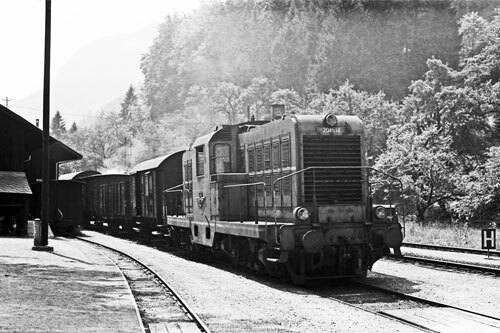 Due to the mountainous geography of Austria these units were equipped with more powerful motors (developed for DR class E 19) and the top speed was reduced to 130 km/h (81 mph) through lower gear transmission ratios, resulting in a significantly higher tractive effort. 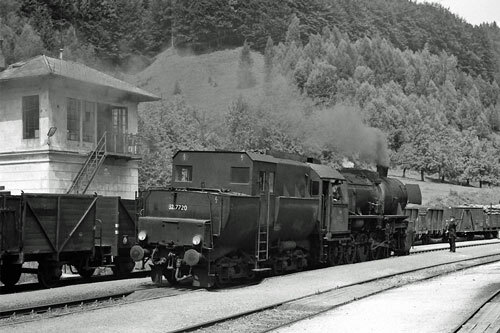 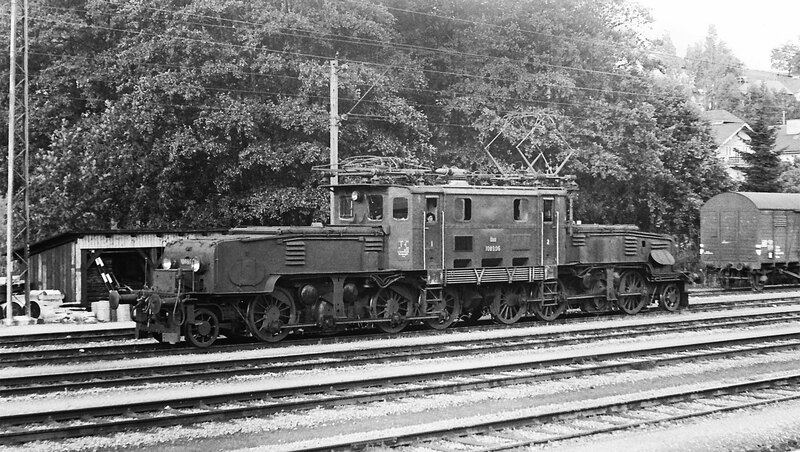 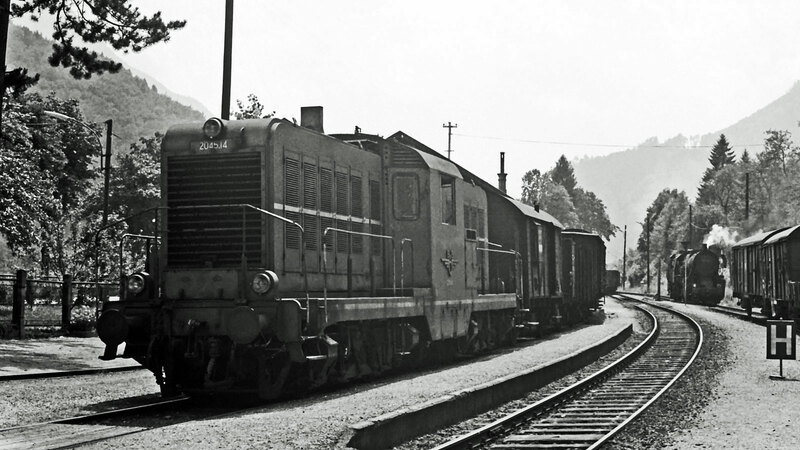 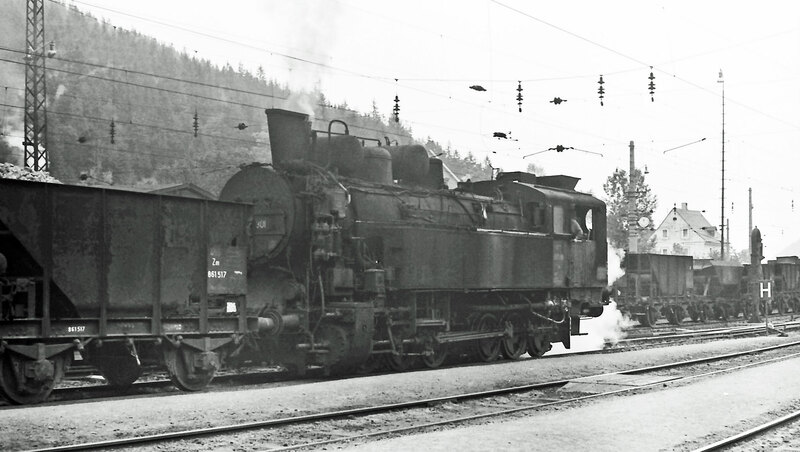 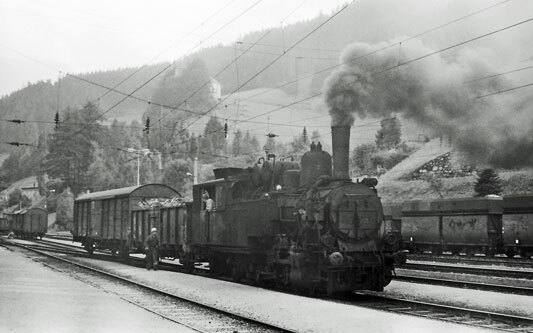 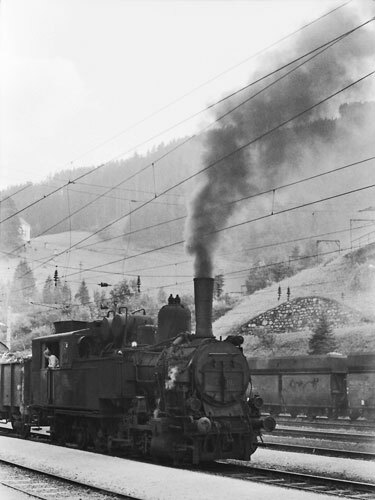 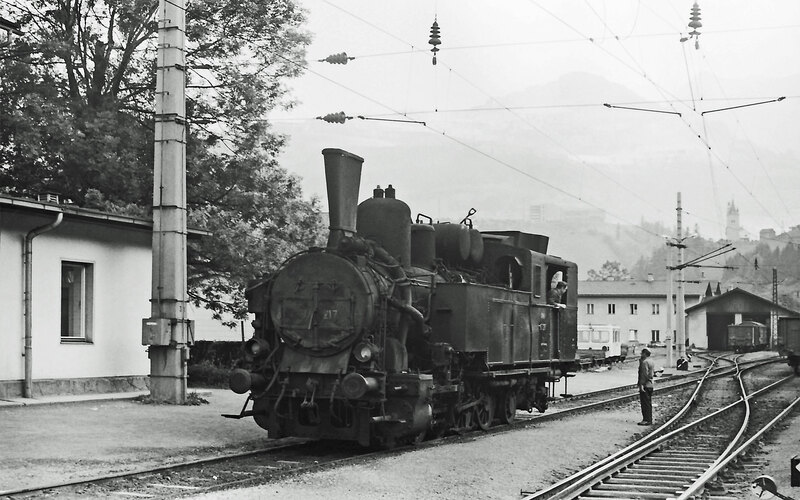 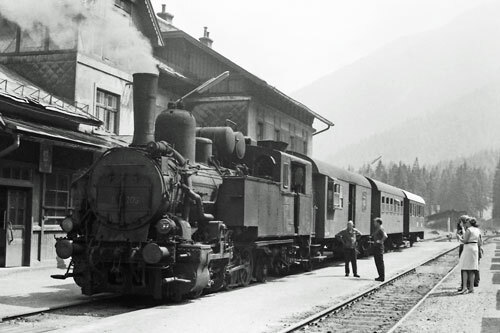 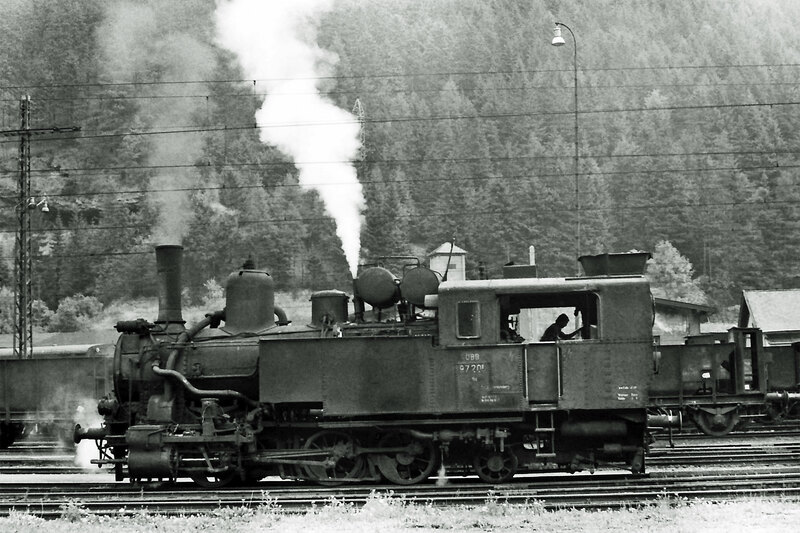 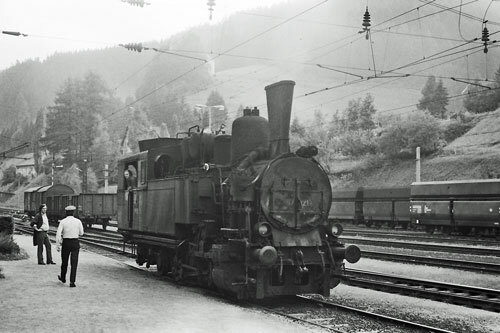 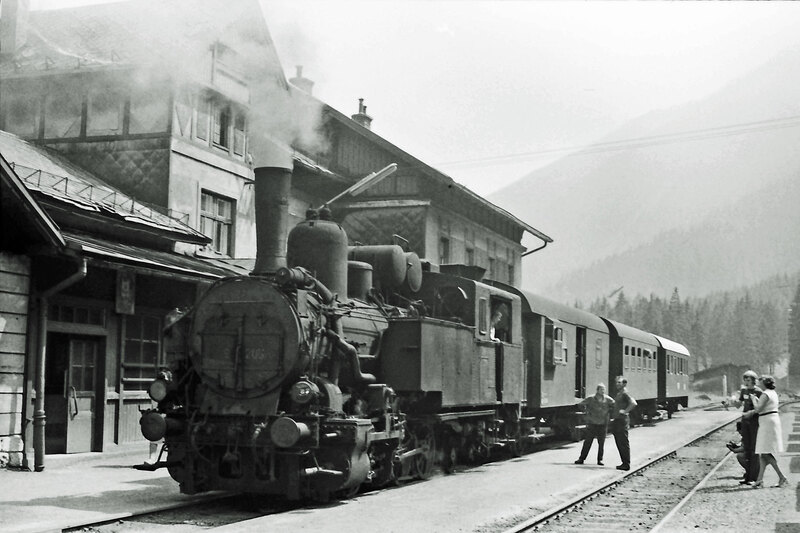 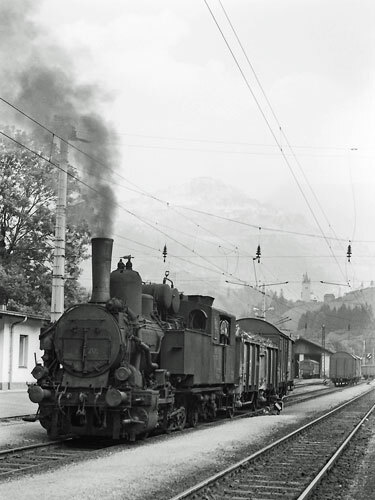 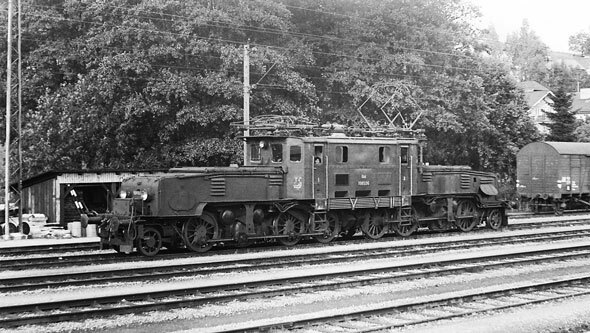 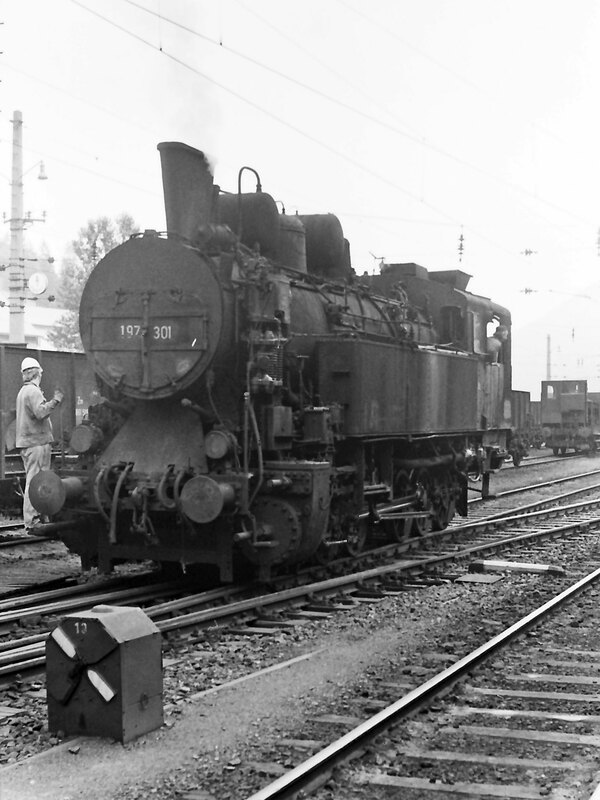 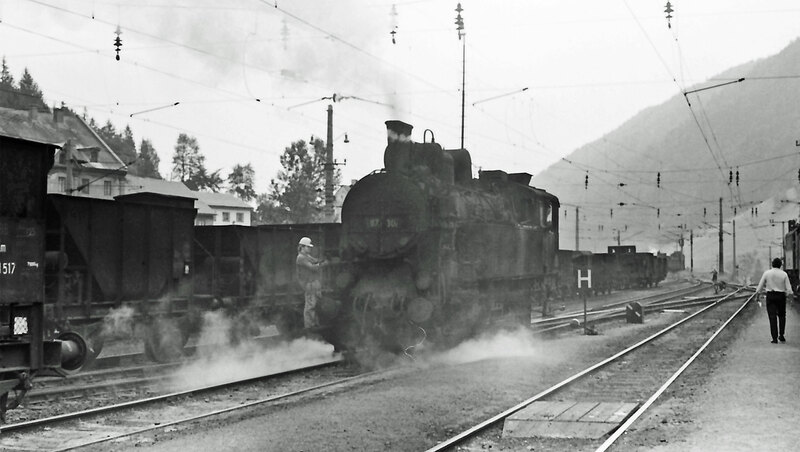 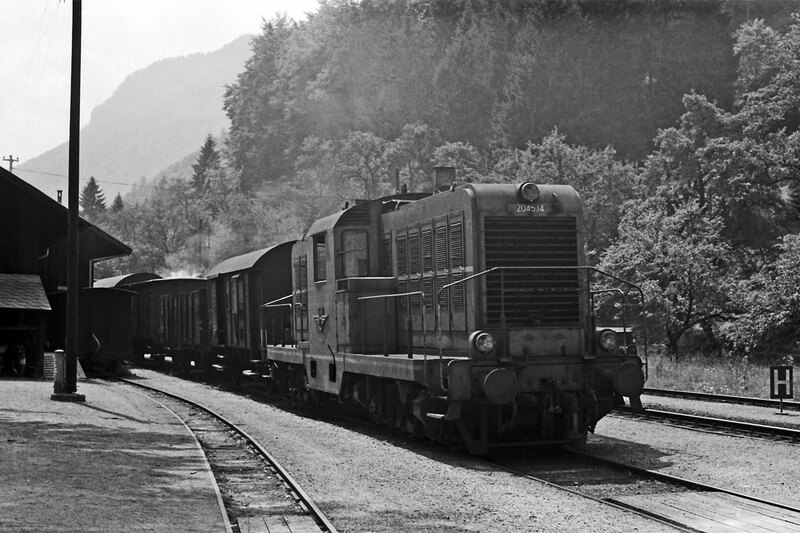 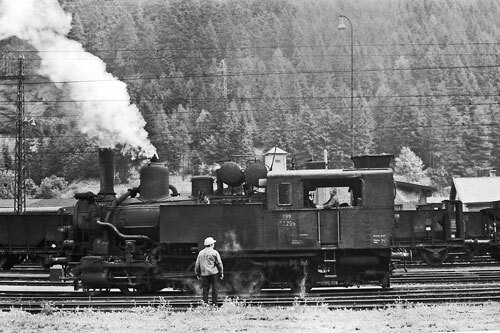 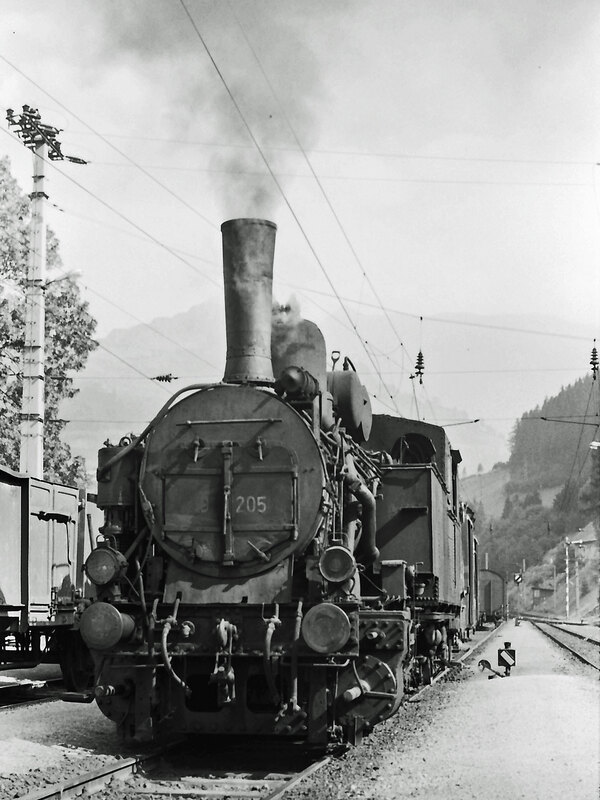 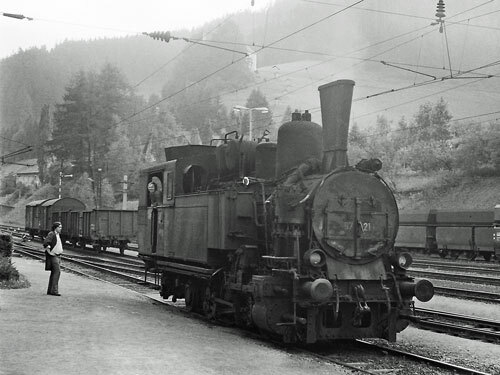 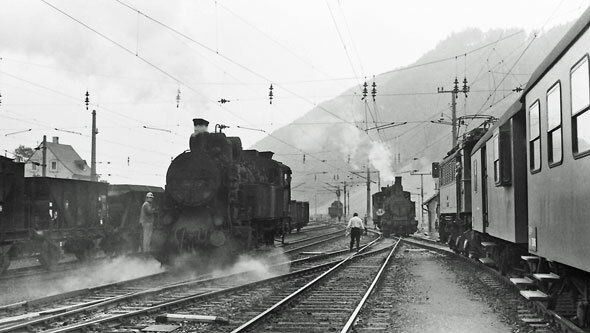 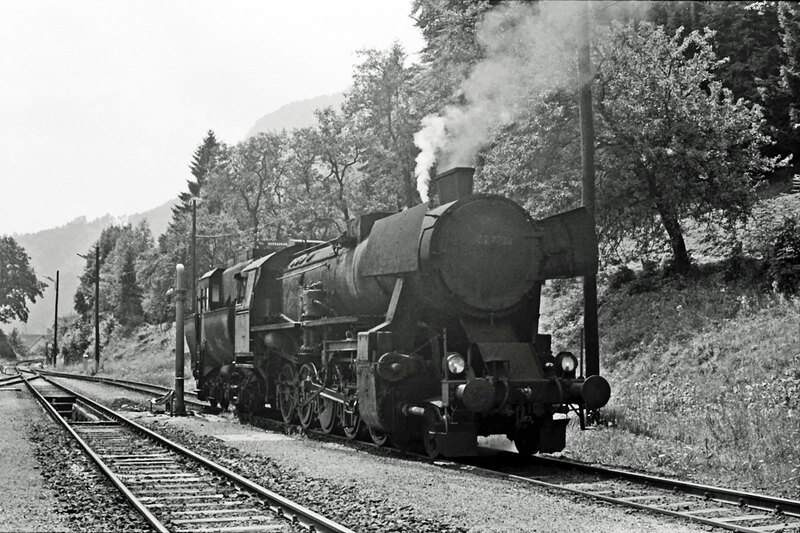 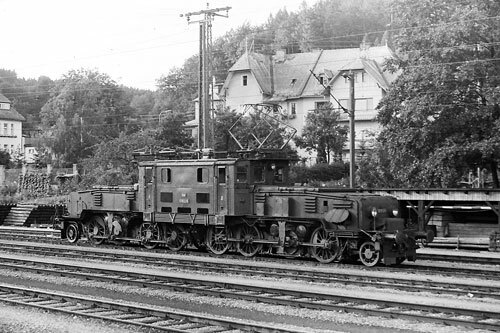 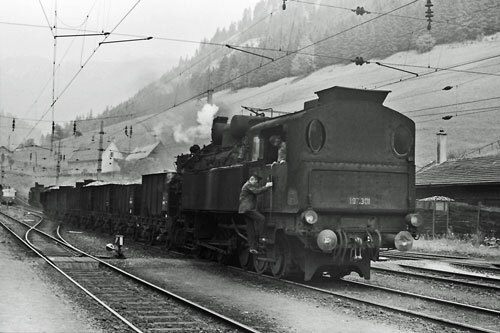 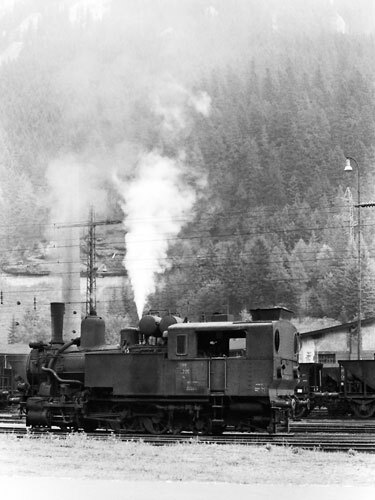 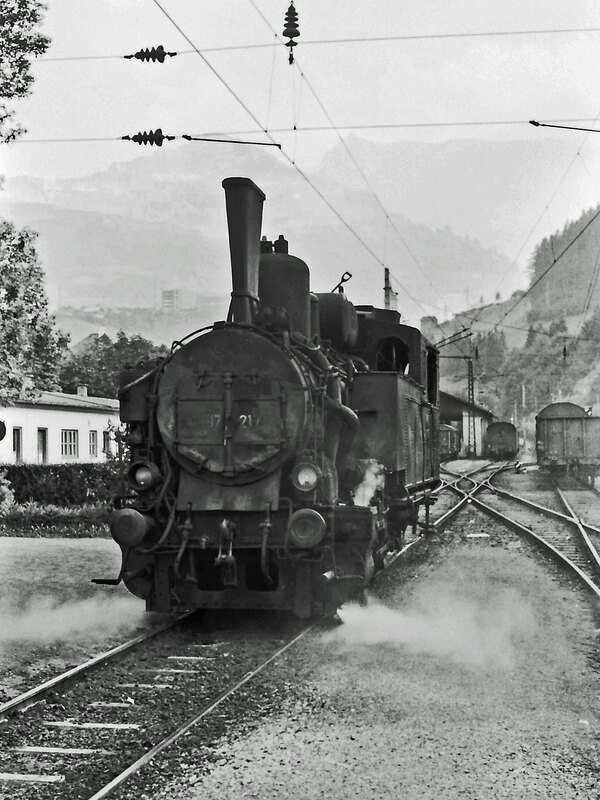 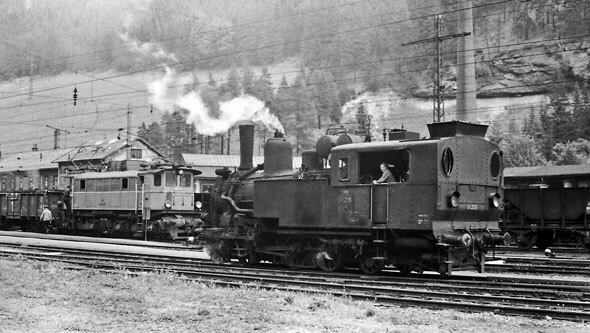 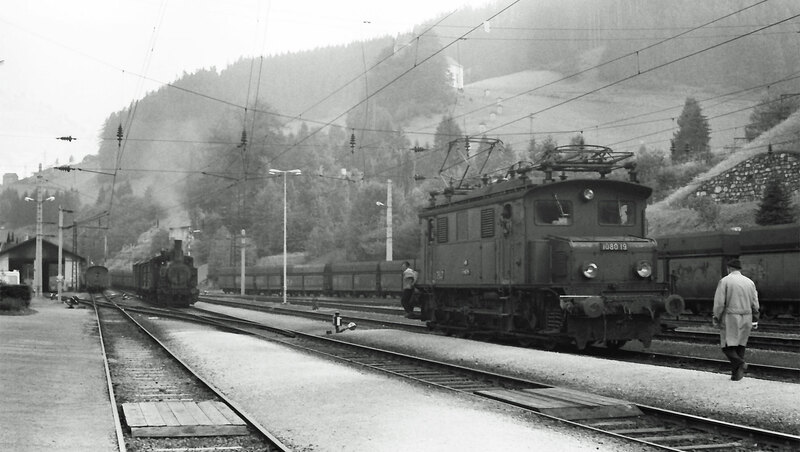 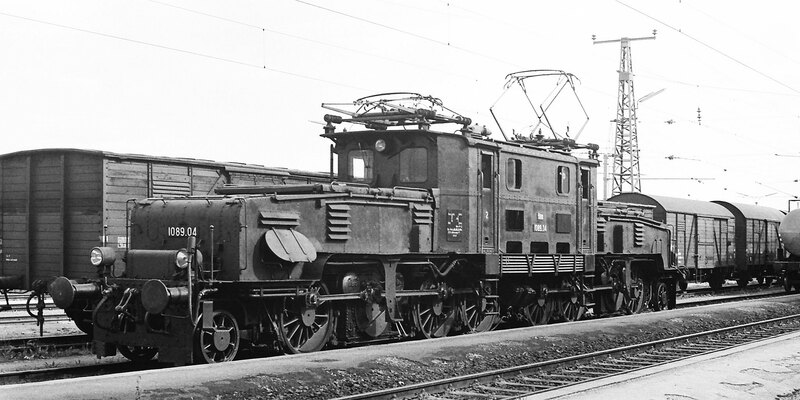 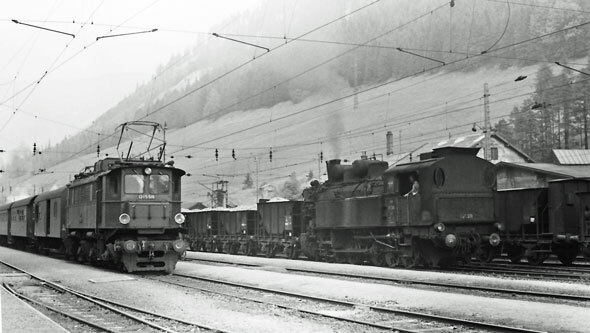 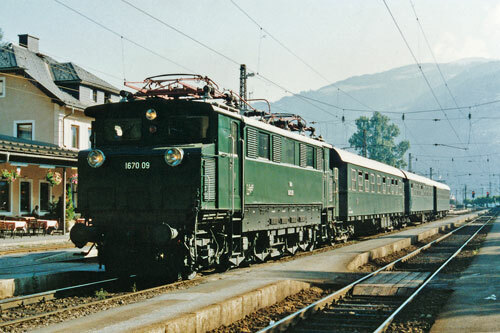 By 1939 when the units were delivered, Austria was occupied by Germany and the locomotives were delivered to DR as Class E 18.2, numbers 201 to 208. 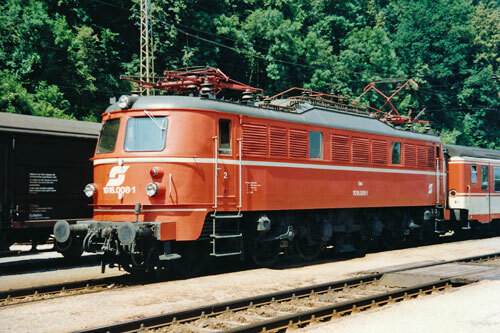 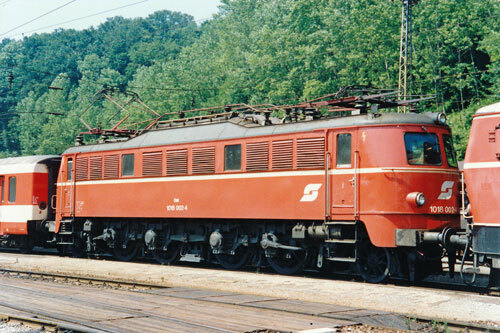 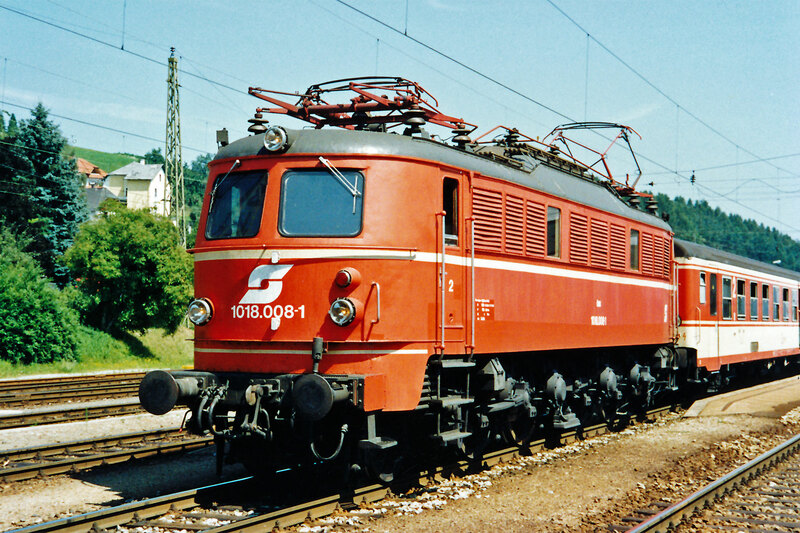 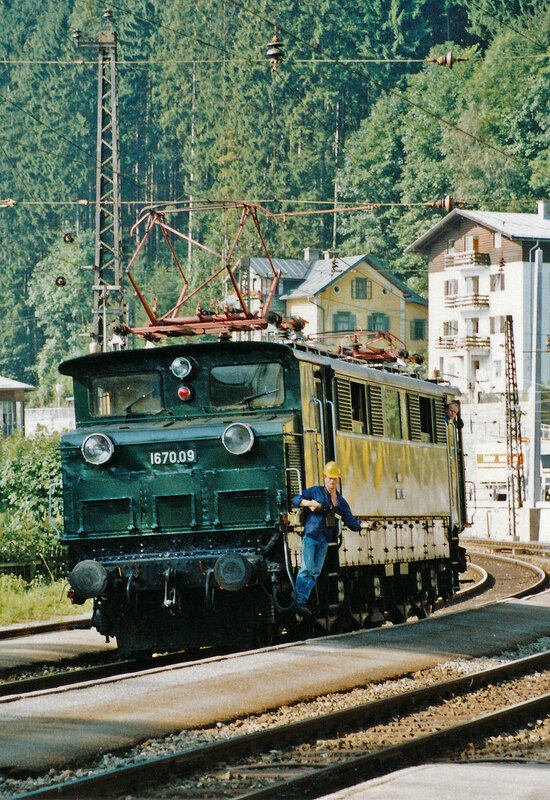 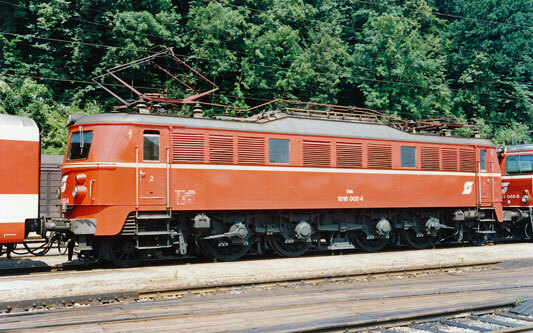 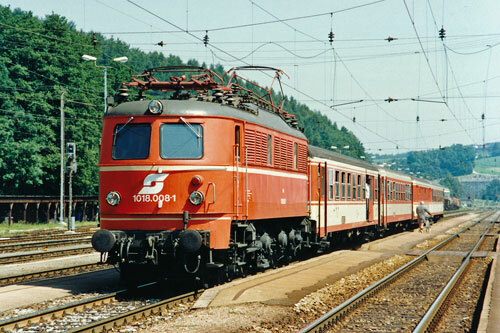 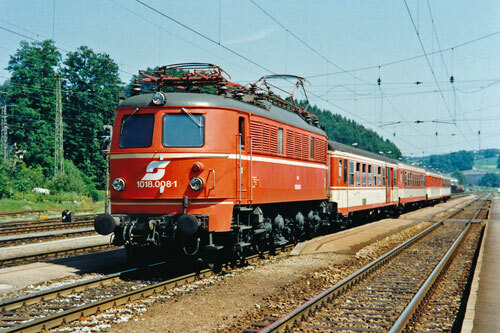 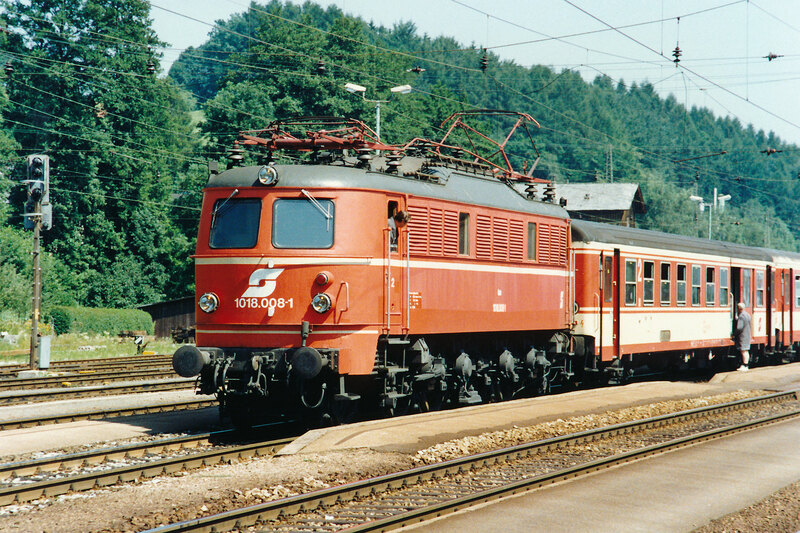 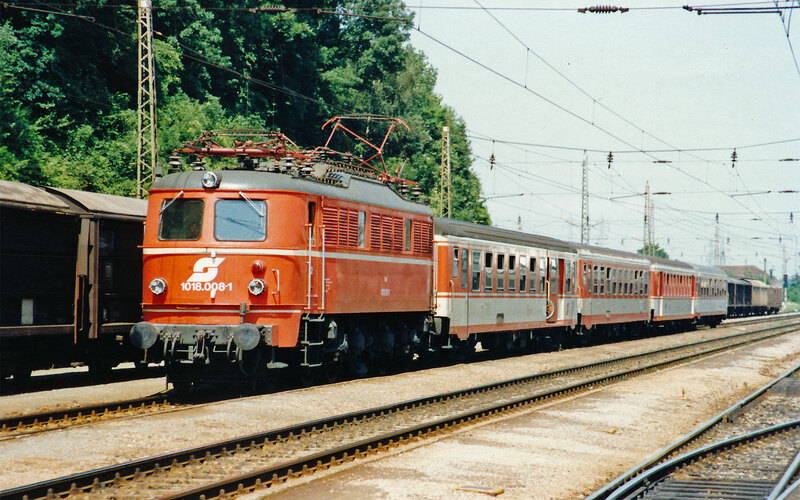 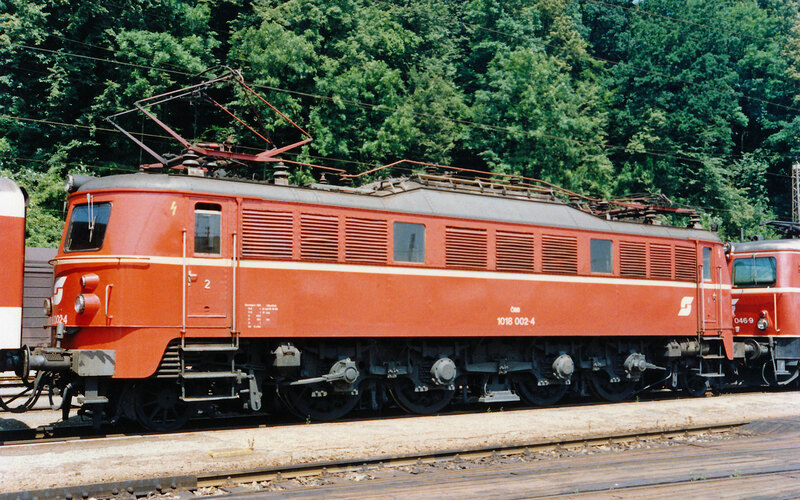 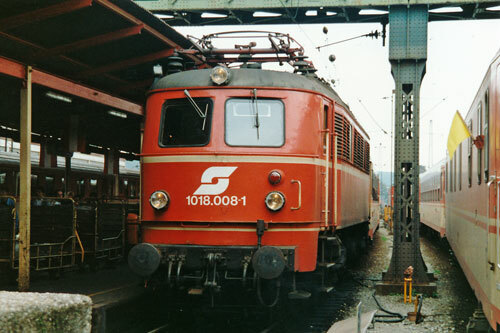 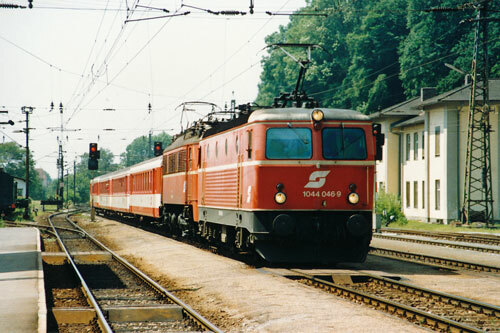 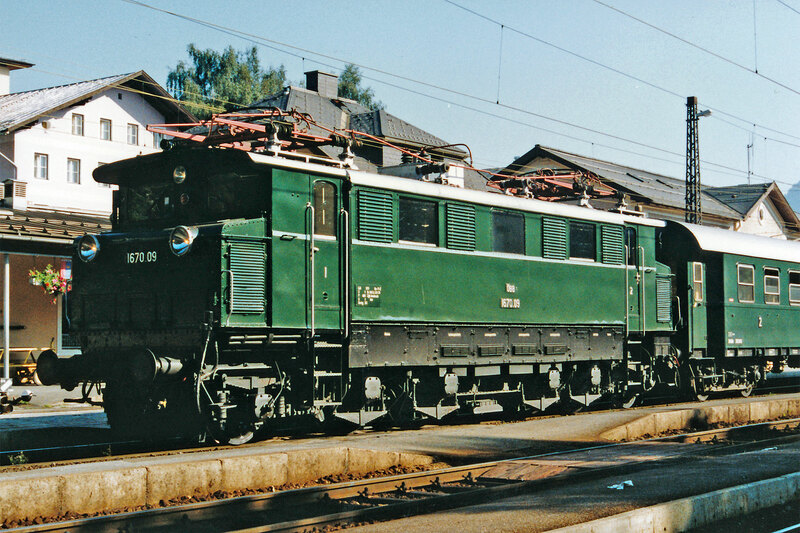 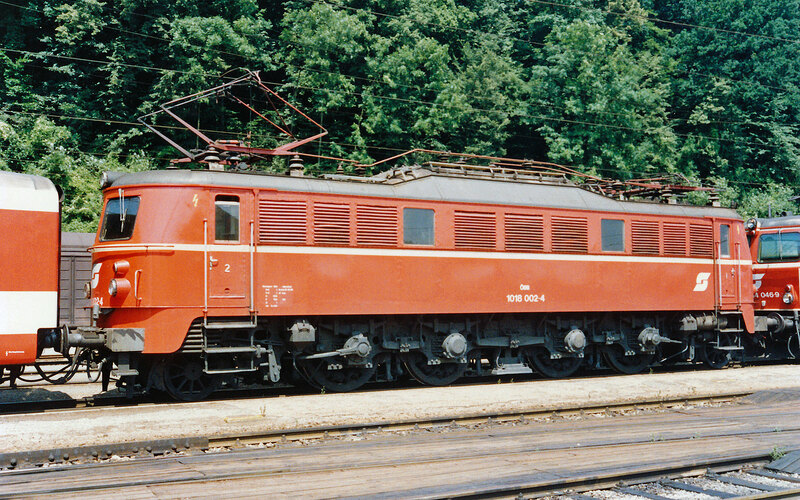 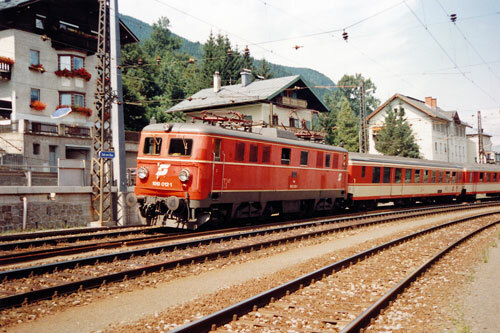 After the war, ÖBB renumbered its seven usable Class E 18 to Class 1018. 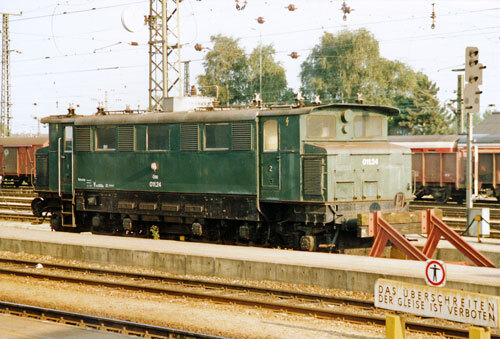 With some modifications (eg: new front windows) they kept them in service until the 1990s. 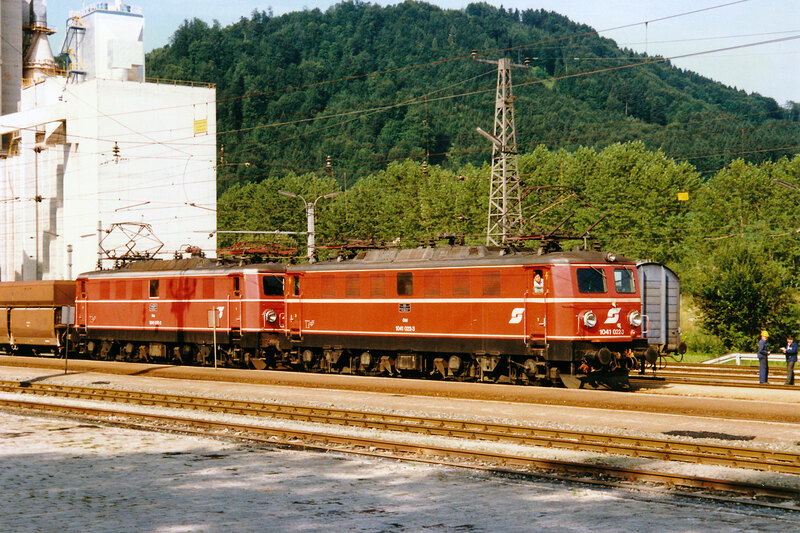 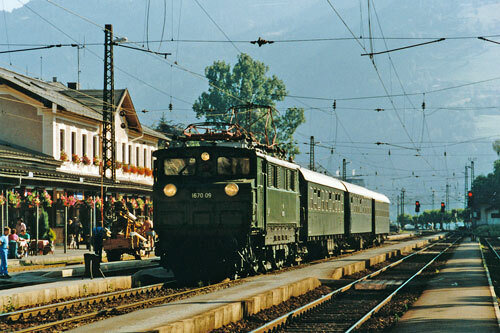 One German Class 18.1 also remained in Austria (renumbered to Class 1118), and another class E 18 was assembled from damaged E 18 206 and E 18 046 (renumbered to Class 1018.1). 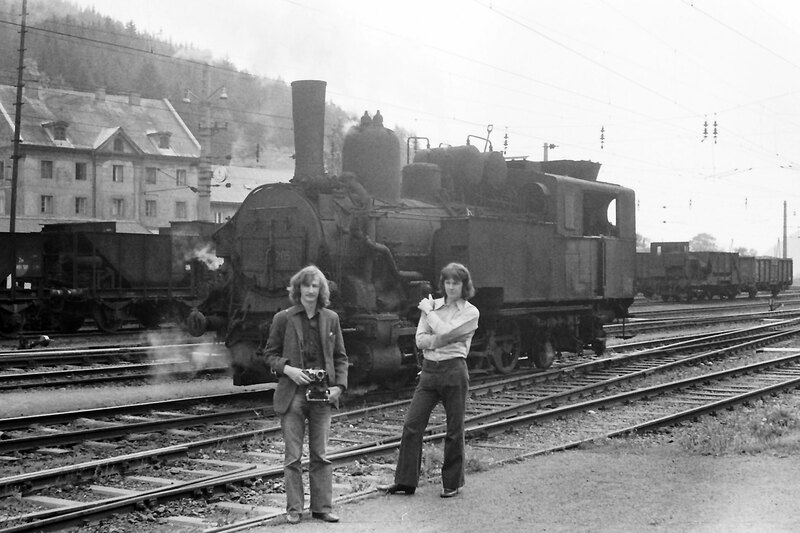 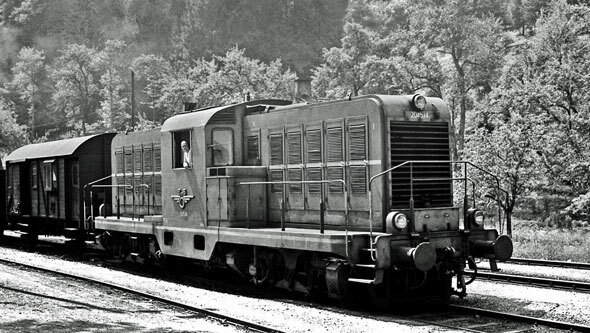 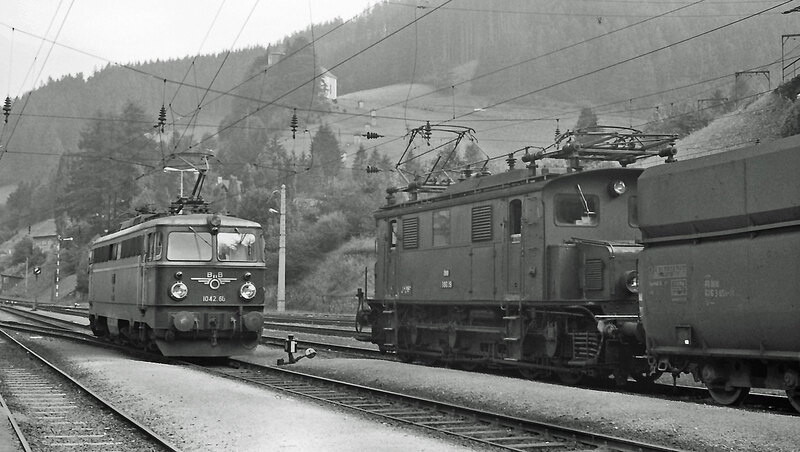 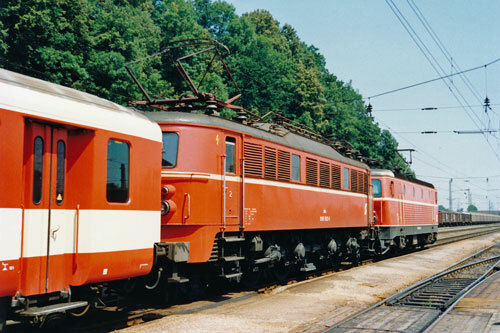 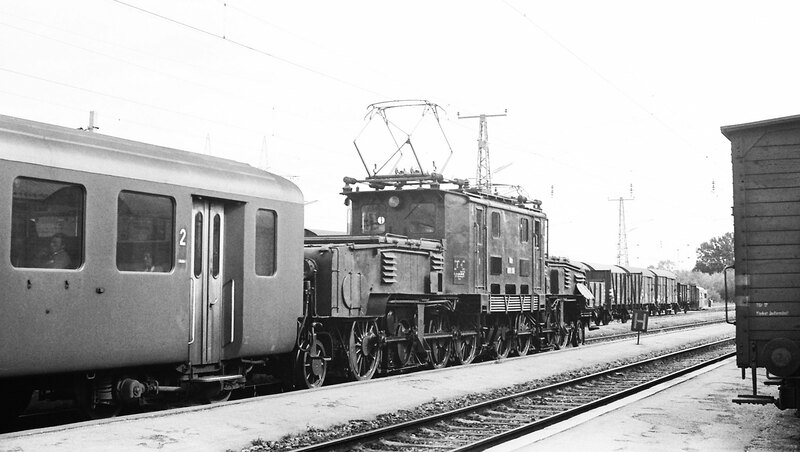 These two mavericks with the higher German gear transmission ratio were ÖBB's fastest locomotives until Class 1042.5 was commissioned in the late 1960s.